On May 22, the U.S. Treasury Department sanctioned five Iranians for providing ballistic missile-related technical expertise or transferring weapons to the Houthis, a Zaydi Shiite movement that has been fighting Yemen’s Sunni-majority government since 2004. The five individuals were associated with the Islamic Revolutionary Guard Corps Qods Force, an elite unit responsible for operations outside of Iran. The following is the full text of the Treasury’s press release. 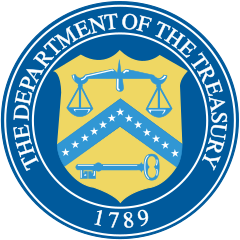 Today, the U.S. Department of the Treasury’s Office of Foreign Assets Control (OFAC) designated five Iranian individuals who have provided ballistic missile-related technical expertise to Yemen’s Huthis, and who have transferred weapons not seen in Yemen prior to the current conflict, on behalf of the Islamic Revolutionary Guard Corps-Qods Force (IRGC-QF). These sanctions follow the United Nations Panel of Experts’ affirmation in late January that missiles and other military equipment employed by the Huthis against Saudi Arabia were Iranian-origin. The Huthis launched missiles at Riyadh as recently as May 9th, while previous targets have included Saudi Arabia’s King Khalid International Airport and a U.S. Navy ship operating in international waters. Today’s action targeting Iran’s support for the Huthis follows recent U.S. targeting of the Iranian regime’s abuse of the Iraqi and Emirati financial systems. The Iranian regime abused both financial systems to support its proxies via the IRGC-QF. Regional allies need to demonstrate extreme due diligence as Iran seeks to send equipment and materiel to the Huthis in Yemen. As President Trump made clear in his May 8, 2018 decision to cease the United States’ participation in the Joint Comprehensive Plan of Action (JCPOA), the United States in taking action to neutralize Iran’s campaign of regional aggression. Earlier this month, Iranian forces in Syria fired rockets into Israel, again discrediting Tehran’s claim that its forces deployed abroad are enabling peace. Likewise, the IRGC’s ongoing efforts to arm and assist the Huthis exacerbate the conflict in Yemen. OFAC is designating five individuals with links to Iran’s ballistic missile program. Four Iranian individuals are being designated pursuant to E.O. 13224 in connection with the IRGC’s provision of missile-related support to Yemen’s Huthis. Mahmud Bagheri Kazemabad (Bagheri) and Mohammad Agha Ja’fari (Ja’fari) are being designated pursuant to E.O. 13224 for acting for or on behalf of the IRGC Aerospace Forces Al- Ghadir Missile Command (ASF AGMC). The IRGC AS AGMC is responsible for Iran’s deployed missile force. Bagheri is the Commander of the IRGC ASF AGMC and Ja’fari is a senior IRGC ASF AGMC official. These two individuals oversee the transfer of missile components and the deployment of ballistic missile specialists across the region in support of the IRGC’s activates. Javad Bordbar Shir Amin, an IRGC ASF official, is being designated pursuant to E.O. 13224 for acting for or on behalf of the IRGC. Mehdi Azarpisheh also is being designated pursuant to E.O. 13224 for acting for or on behalf of the IRGC-QF. Additionally, Sayyed Mohammad Ali Haddadnezhad Tehrani is being designated pursuant to E.O. 13382 for acting for or on behalf of, or for having provided, or attempted to provide, financial, material, technological or other support for, or goods or services in support of , the IRGC Research and Self-Sufficiency Jehad Organization (IRGC RSSJO). The IRGC RSSJO was designated pursuant to E.O. 13382 on July 18, 2017, and is responsible for the research and development of ballistic missiles. The IRGC RSSJO has supported the IRGC-led effort to improve the Huthis’ ballistic missile capabilities. Click here for more information on Iran, Yemen and the Houthis.